1 Do we need the backpack for mountain climbing? 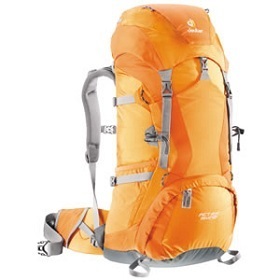 Do we need the backpack for mountain climbing? At Mt.Fuji in summer, its temperature is like winter. It means so cold in Mt.Fuji and you need prepare a rain wear for protecting from rain and wind. Of course, the lunch box or the drinking water has considerable weight. And you should prepare the mountain gears to emergency situation. In addition, you have to bring “Sleeping Bag”, “The Mat for Tent” and others when you climb the length of the mountain. Or if you would like to stay over night in the tent, you should bring the tent under climbing. When you climb the mountain, you bring the gears such as the daily commodities. Thus, the fitting is important when you climb the mountain with heavy baggage. The shoulder belt of backpack for climbing mountain is made the shape that a part hitting the shoulder is hard to hurt. And the west belt is hard to lock the climbing bag on your west. This west belt is important to fix the climbing bag on your body when you climb and the west belt break up the load that being applied on your shoulder. In addition, it is include the plate of back for the part from one of the capacity of back pack is 30L which size is for one-day trip or 1 night 2 days. And it depends on the brand that the back of climbing bag is mesh fabric. If you sweat on your back using the climbing bag, your back will not get stuffy. The goods inside the mountain bag is fixed. The heavy gears near the center back of the back and the gears are close to the body. The mountain bag has shoulder belt, west belt and the belt for tighten the mountain bag. The root of shoulder belt is more tough than the one of backpack for daily used. And the main part of the mountain bag is made of Nylon. So it cannot easy to broke. The mountain bag has some pockets, belts and hanging hooks. 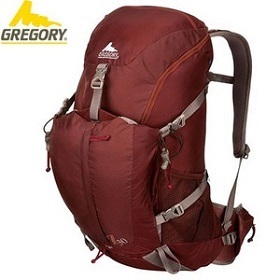 This is for the situations to need some gears picking up early from the mountain bag. There is the storage parts other the main part of mountain bag such as “rain cover bag” or fastener zipper that are received often using gears like rain jacket. We recommend there is water or rations inside the side pocket of mountain bag. If you need them, you can access them easily and pick up from the mountain bag. Also the west belt of mountain bag has pockets! We recommend you put small goods like coins, pocket tissues and camera in the pockets. Let’s bring the mountain bag to go to Mt.Fuji!! The bringing of the thermal is necessary for the mountain climbing depending on a mountain to climb in even summer to cope with ordinary temperature in winter, and the rainwear to prevent wind and rain is essential. Of course a lunch or the water is heavy, and must make emergency preparations. If you stay at the hut or tent, you need to carry the sleeping bag, mat and tent on your shoulder. In short, you carry one set of life article you need on your shoulder and climb it. Not only sightseeing at the 5th station, but hiking at Okuniwa which is at the 4th station is also recommended! I tell you the attraction of Okuniwa in this article. If you go by train to the Mt.Fuji climbing with Yoshida trail, get off at Kawaguchiko Station or Fujisan station of Fuji Express and get on the bus bound for Yoshida trail fifth station from each station. For the period from July 1 to August 31, the first bus from Kawaguchiko station is at 6:40am and the last bus is at 8:10pm. The first bus from Mt. Fuji station is at 7:10am and the last bus is at 7:05pm. During that period, it operates at a pace of about one hour (* both together with the timetable of 2015 season). Beacon is one of the nessicity item to bring in a snowy mountain with possibility of avalanche. We will introduce the function of "beacon" and usage of it which is also counted as one of the three Imperial regalias of Japan in a snowy mountain.